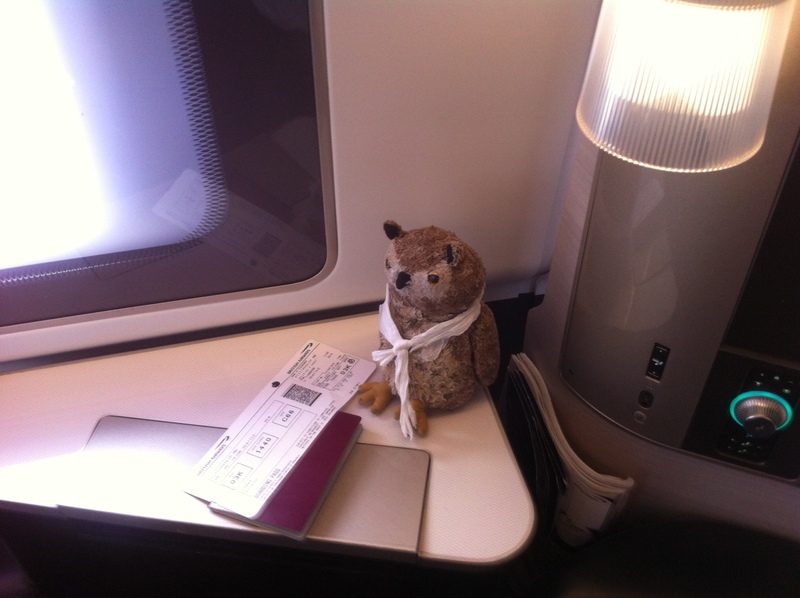 Phil is on his way, as I write, to Seattle, first class, British Airways. And he carries a small but not insignificant passenger. My daughter is twelve years old, in that magic place between make up and gold sandals and barbie dolls and cuddly owls. The latter have the greatest place in her heart by far. Her ability as a writer and scriptwriter is considerable, and very often it is turned to sparkling effect in the owls’ dialogue. I think her toy owls have such well developed characters, they are part of the family. There is haphazard Snowy the snowy owl, and bombastic Blizzard the barn owl; the tiniest owl’s voice has broken and his name is Plop, and the homeliest owl is a scraggy -feathered one with a Devonian feel named Holly. The owls used to play slapstick, and they still do; but these days they date as well. They have been playing their parts for years now. And no owl is more infuriating and badly behaved as the small burrowing owl, Lulu. Lulu is a confirmed arsonist. Never let her alone with a bunsen burner in the science lab at the select private school for owls, St Hoots, or with a paint brush on the playing fields. Lulu creates intentional havoc wherever she goes, and does not care. Rather, she revels in the wanton destruction. She is less than a foot high and arrived in Santa’s stocking many moons ago, and she is my daughter’s alter ego. For Maddie is well behaved and fears to displease, but her favourite owl adores to rebel and the consequences are pure, joyous farce. When the going gets tough, Lulu usually finds her way into the car with Maddie so that she spends just a little longer with her owner before she must tear herself away to the land of responsibility; the land where Maddie must turn in homework and attend dreaded PE lessons and manage the Bernhardt-theatrical egos of the schools growing cohorts of boys. Mondays are challenging; and Mondays when Daddy is off to the other side of the ocean even more so. Lulu snuck out to the jade green soft-top chariot, which bears my husband and daughter into the Big Wide World every weekday morning. The car pulled out with three occupants, and no-one quite thought through the fact that Phil’s car would not be returning to our house this evening. Rather, his trusty steed would await Phil at Heathrow until his return on Wednesday afternoon. Lulu could not go with Maddie to school.Golden rule. So the small feathered felon was faced with two choices; wait in Phil’s car for three days; or travel to Seattle and back for giggles. My husband is perceptive where his children’s toys are concerned. He knew Maddie would worry terribly about her owl in the dark and the cold of a Heathrow car park for all that time. And so, before anyone could fret, a photograph arrived on my iPhone, around 3pm this afternoon. It showed Lulu. Standing in a first class compartment of British Airways. And that, right there, is why I love my husband. Maddie gasped at the audacity of the plan, and pounced on the visual evidence. She had a try at worrying about Lulu, but settled quickly for being hugely excited that the ittle owl was to travel 4,799 miles. And then another 4,799 miles back again. I wonder how owls manage jet lag? Finally, Lulu has succeeded in flying British Flapways. She will be touching down in Seattle roundabout 3.30pm PDT. There’s a new owl in town. Posted in Shrewsday MansionsTagged aeroplane, British Airways, cuddly toys, family, toysBookmark the permalink. I think I may have just squeaked with excitement! Wonderful. They have arrived back, now, Fiona. Lulu has had a fine time. I love Maddie’s owls. Phil is is dear dad. Alas, Andra, five interview in one day meant Phil had little time to go further than Starbucks….he did have a great trip, though. Must save Tilth for when we all manage to get there. Lou, the owl is being de-briefed as we speak. A post will be forthcoming. I’m glad Lulu was able to travel first class. Will the other owls be jealous? Indisputably, Gale. I expect there wil be huge ructions. Phil was stcked up with interviews to do while he was there, Nancy – but we’ll put it on our list for a return visit! What a wonderful post, man, Daddy. The rain kept largely away, Karen, I am pleased to say! Have fun on your adventures, Lulu! Reminds me of my daughter’s owl, Alpie. He flew from London to Los Angeles with us earlier this year. 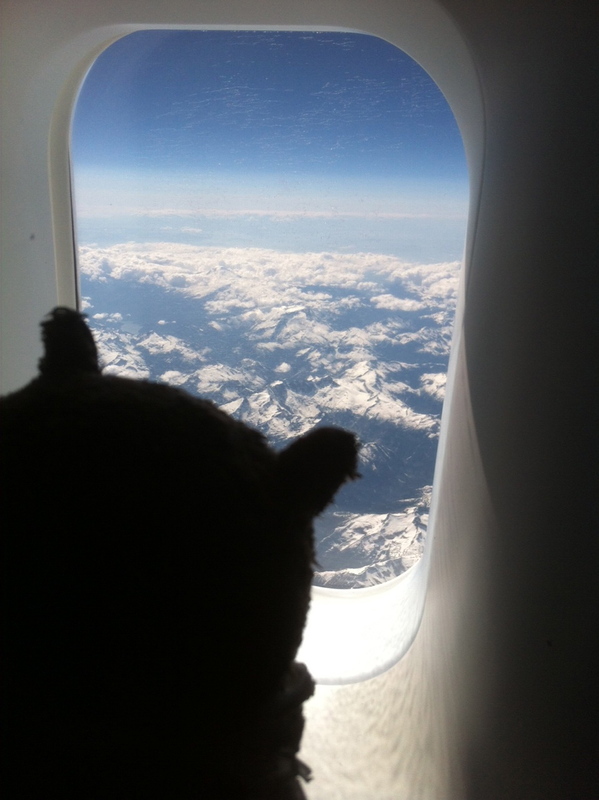 I think it’s good for stuffed animals to travel, to get out of their comfort zone. I’m with you there. Broadens their horizons. This warms my heart, Kate. A long time from now, Maddie will recall Phil’s rescuing Lulu from three days of despair in the car at the airport. She will be know what a prince he is and every guy will have the test before him to measure up to dad. Phil: owl-rescuer extraordinaire! He really knows how to sweep an owl off her feet 😀 You are right, Penny. It’s a tough act to follow. I just showed this to Mr Weebles because it’s so freaking cute. Your hub is obviously a great dad. I hope Lulu enjoys her trip and that her ears don’t pop from the high altitude. Thanks, Weebles. I think she’s thrived on the whole owl abroad experience. That last show was brilliant. How very clever that owl, Lulu, is … and how very thoughtful Phil is. Sweet!